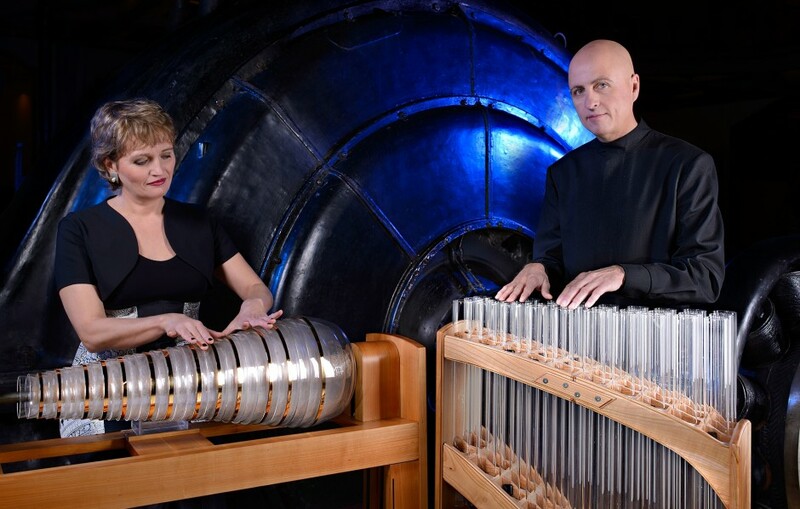 Christa and Gerald Schönfeldinger discovered the world of glass music at the beginning of the 1990s. 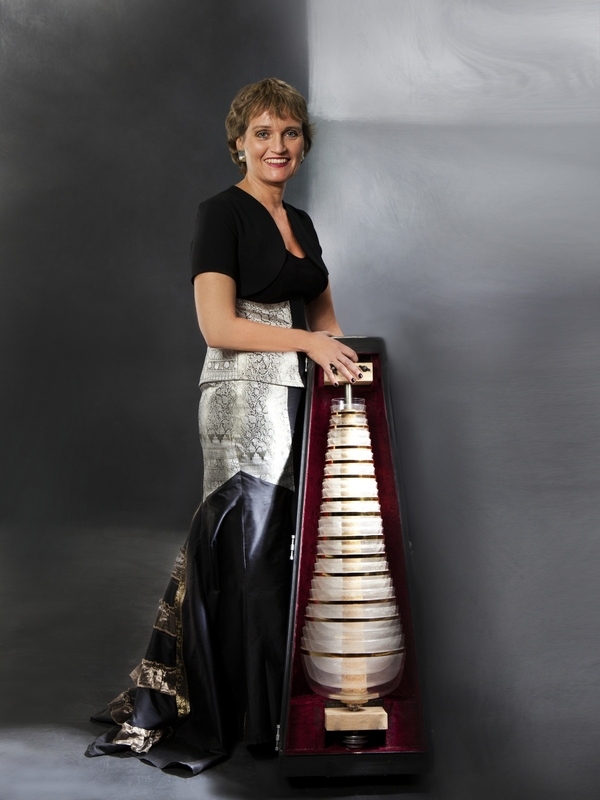 Viennese-born, and imbued with a deep-seated feeling for melody and rhythm, they had both trained as professional violinists and had already begun orchestral careers when a music riddle in the newspaper Salzburger Nachrichten attracted their attention to a very special instrument: the Glass Armonica. This was to have a determining impact on their further professional lives. 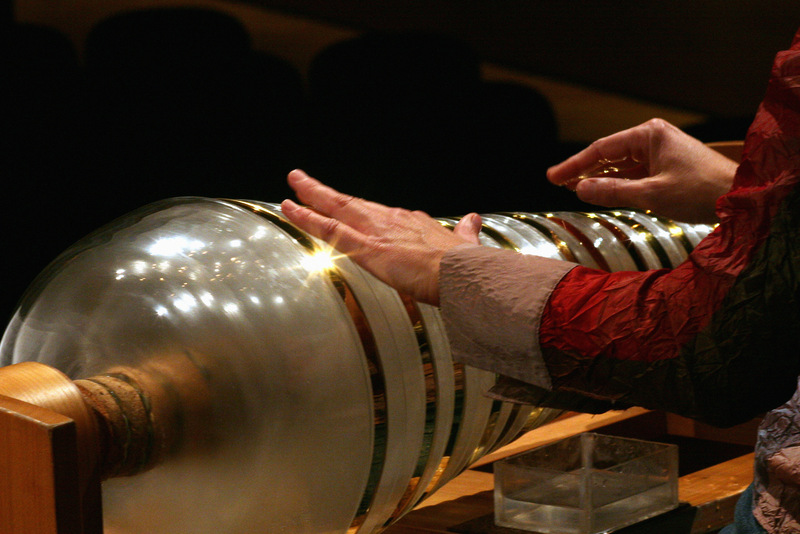 They attended an exhibition of historical musical instruments at the Hofburg in Vienna, where, for the first time, they viewed the rotating spindle with the graduated glass bowls nested inside each other. This was followed by a visit to Munich to the musical instrument designer and builder Sascha Reckert, where the Verrophon, which Reckert himself had developed, awaited their discovery and reinforced their decision to focus intensively on the possibilities of making music with glass instruments – a decision that ultimately led to their founding the Vienna Glass Armonica Duo. Thus they rediscovered and revived an instrument which, after enjoying a sensational wave of popularity in the 18th century, had been virtually forgotten for almost two hundred years. 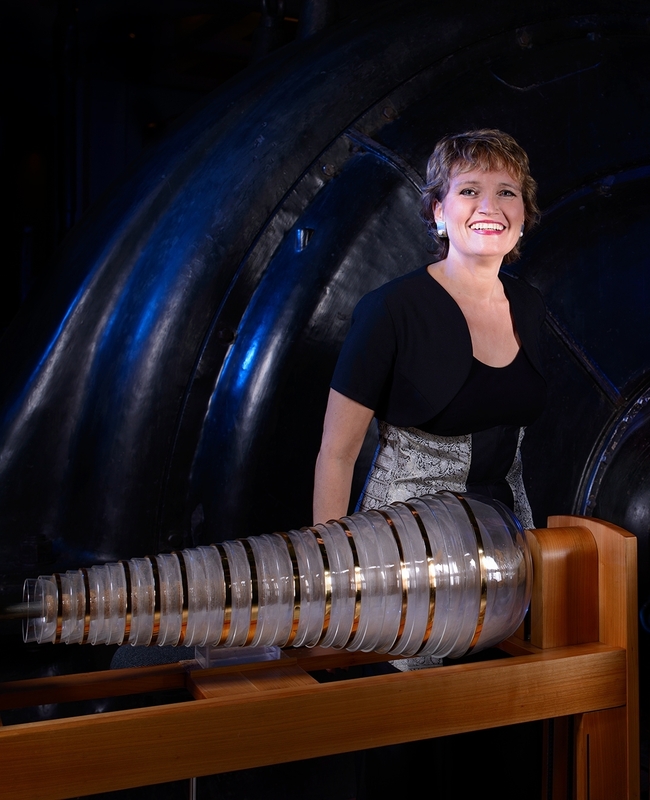 Today the couple are among the world’s leading performers on the glass armonica and the verrophone. Not only have they succeeded in bringing “historic” playing techniques that have to some extent been handed down over the centuries to a new level of perfection, they have also expanded the scope of performance on glass instruments by adding new techniques and contemporary music aesthetics to create unimagined possibilities of musical sound. As far as the innate secrets of sound hidden in glass are concerned, the process of discovery has been an unbroken one. 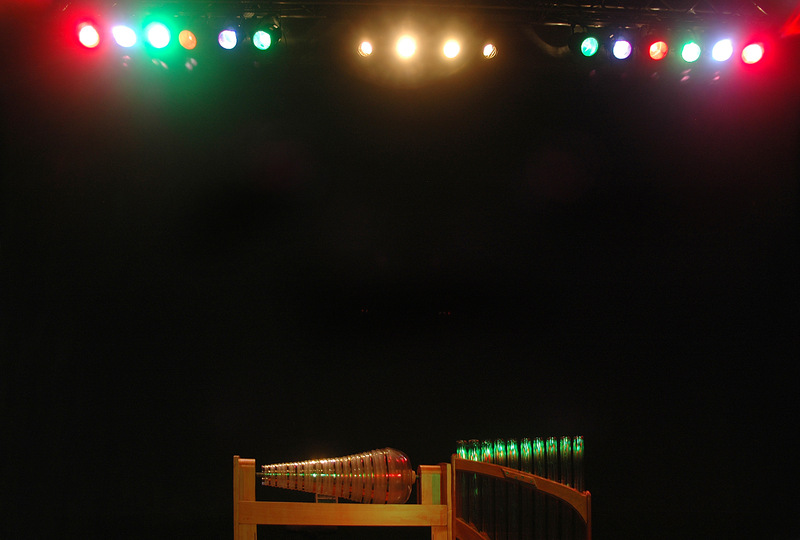 It has been, on the one hand, the primum mobile for the composer Gerald Schönfeldinger, manifesting itself in numerous CD recordings by the Vienna Glass Armonica Duo and offering the public a sensitive symbiosis of poetic chamber music and meditative sound experiences of extraordinary intensity in live performances far from the beaten path of the concert world. On the other hand, it has inspired the Schönfeldingers to develop new projects in collaboration with artists of various genres, including such well-knowns as Senta Berger, Ruth Maria Kubitschek, Erika Pluhar, Chris Pichler, Christiane Hörbiger, Peter Uray, Peter Wagner and Christian Ludwig Attersee. The ensemble’s repertoire ranges from the traditional standard works for glass armonica (W. Mozart, J. Reichardt, C. Röllig, A. Schulz) to orchestral and opera literature (Donizetti, Saint-Saëns, R. Strauss) as well as numerous arrangements (e.g.. Mozart, Grieg, Satie, Morricone) and avant-garde works (e.g. Arvo Pärt, Jörg Widmann). Contemporary composers, too, have been inspired to create new works for these fascinating instruments, for example Thomas Daniel Schlee, W. R. Kubizek, R. Graf, Christian Mühlbacher, Ferry Janoska and …..
Jörg Widmann who entitled composition premiered at the international Salzburg Mozart Festival 2007 by the Vienna Philharmonic and Christa Schönfeldinger under Pierre Boulez ”Armonica”. 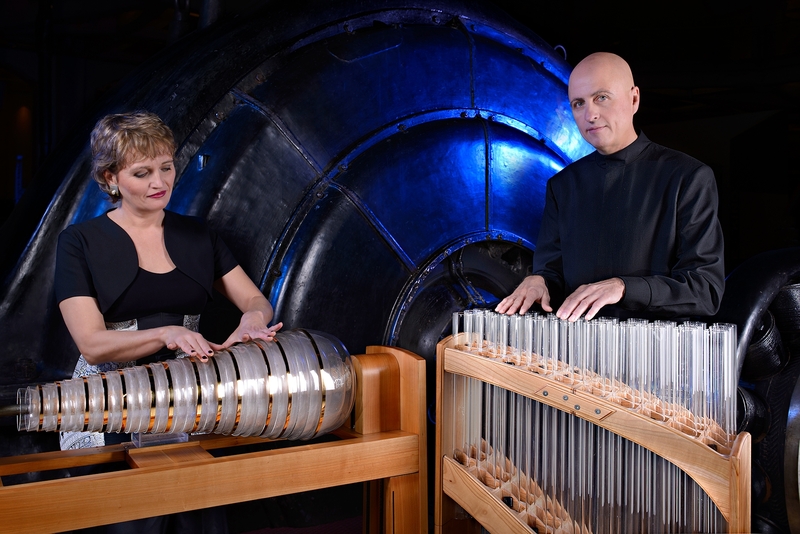 The Vienna Glass Armonica Duo has also performed in concert with the Vienna Philharmonic Orchestra, the Vienna Symphony Orchestra, Dresdner Philharmonie, Deutsche Kammerphilharmonie, New Japan Philharmonic, SWR Saarbrücken / SWR Freiburg, the Amati Quartet and Hugo Wolf Quartett. The duo has given concerts all over Europe, appearing at the Musikverein Vienna, the opening of the Wiener Festwochen, the Klangbogen Festival Vienna, the international Salzburg Mozart festival, Menuhin Festival Gstaad, Beethovenfest Bonn, Carinthischer Sommer, International Haydntage Eisenstadt, Suntory Hall – Tokyo, Dresdner Musikfestspiele, Mozartwoche Würzburg, Moyart Festival Gdansk, the Philharmonie in Warsaw as well as Berlin, Bayreuth, Rome, Florence, Helsinki and Amsterdam etc.